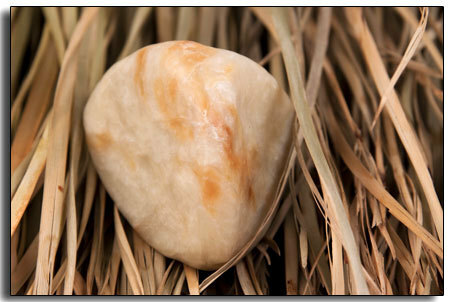 ← My church (and 5,000 men doing hard time)… standing in the light. 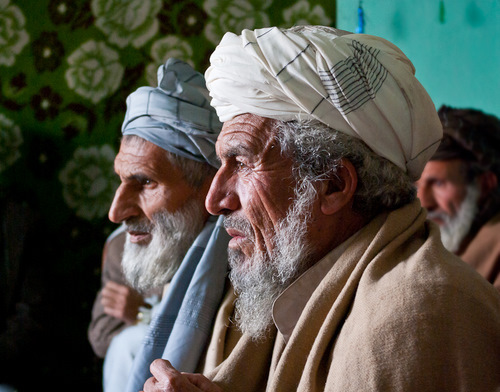 Lisa Schnellinger didn’t mean to fall in love with Afghanistan. It just kind of happened. She had spent years traveling all over the globe (China, the Soviet Republics and the South Pacific) teaching journalism in emerging democracies. But when she went to Afghanistan from 2002 to 2004, both she and her husband were swept away. As she helped the Afghans to create an independent media after five years of utter oppression under the Taliban, she came to deeply admire the character of the people. The Afghans had a great sense of humor, were practical, engaging, and keen to learn. The women and girls, having been denied an education under the Taliban for five years, were passionate about their schooling. 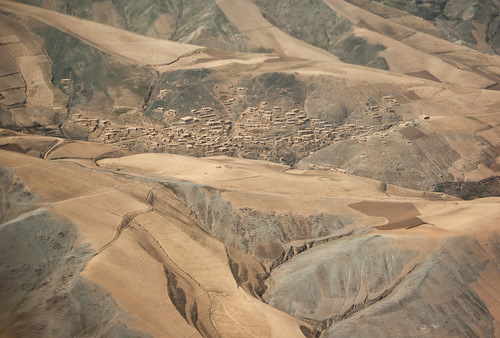 And then there was the stunning landscape that informed the Afghan culture in every way. Because Lisa is a photojournalist, she took photos everywhere she went. In 2003, when a girls’ school in a village where she was teaching was burnt down by opponents of educating girls, she documented the wreckage–then became totally caught up in the determination of the 200 girls and the school principal to rebuild their classrooms and continue their education. 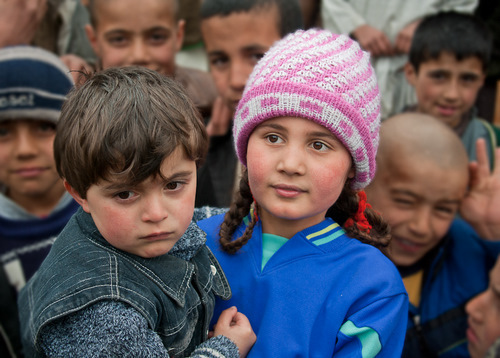 Rowaida, the best student in school, carries her brother Ramin-- and the hopes of a nation. As the village struggled to construct a new school, Lisa asked her own family members to contribute and managed to cobble together enough to pay the initial construction costs for the building. When she moved back to the United States, she continued to raise money — enough to add a library and fill it with books. This year, 700 girls are going to school in the town where rebels burnt their school down – and the first class of girls will graduate in 2011. “It’s just a small project,” says Lisa,” but when I say to the elders: This is from my village to yours, they know exactly what I mean. In fact, they think I must be Afghan. Village Elders in Chinar listen to Shinkai Karokhail, a female member of Parliament. Most of the money for the school has come through Lisa’s online sale of gorgeous pashmina shawls, handmade soaps, silk scarves and embroidered purses made by Afghans. 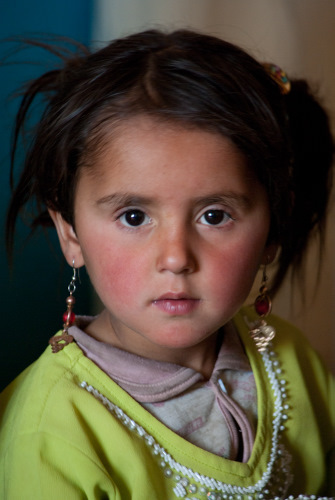 And she has mounted a glorious photography show called Beyond the Mountains at 35 N. Main St. in Jasper, Georgia, to bring viewers face-to-face with the Afghan people whose fate is so closely bound up with ours. Buy beautiful soap/Educate a girl! Click here to learn more about this riveting show. And shop here to support girls’ education in Afghanistan–a wonderfully indulgent, incredibly effective way to make sure it’s never taken away again. It’s always such a surprise to see the beautiful things people produce while living with oppression. It’s also helpful to be reminded that no country is defined solely by violence or war. There’s always hope, as long as there are people willing to take a chance.